Fast responsive performance. Stress tests performed well consistently. Very little downtime if any. Stable robust servers running on Green Tech. Support is helpful, well-trained, and live chat is fast. Very affordable to get started. $2.95/mo is hard to beat! GreenGeeks is one of our favorite web hosts for Canada. As modern citizens, we're fortunate enough to have a bevy of different hosting providers and service options at our beck and call. Like many other companies, GreenGeeks Web Hosting bills itself as fast, cost-effective and scalable, but it also offers a few distinguishing features that make it a definite standout. Is GreenGeeks' claim of being ecologically friendly all it's cracked up to be? How do its plans compare to other options? What distinguishes them from other Canadian hosts? Here's everything today's business owner or would-be brand presence innovator needs to know about using GreenGeeks to get online. For one thing GreenGeeks has servers in Canada and are 300% run my renewable energy sources so if you are in North America and looking for an exceptional Canadian web hosting company you can't go wrong with GreenGeeks. 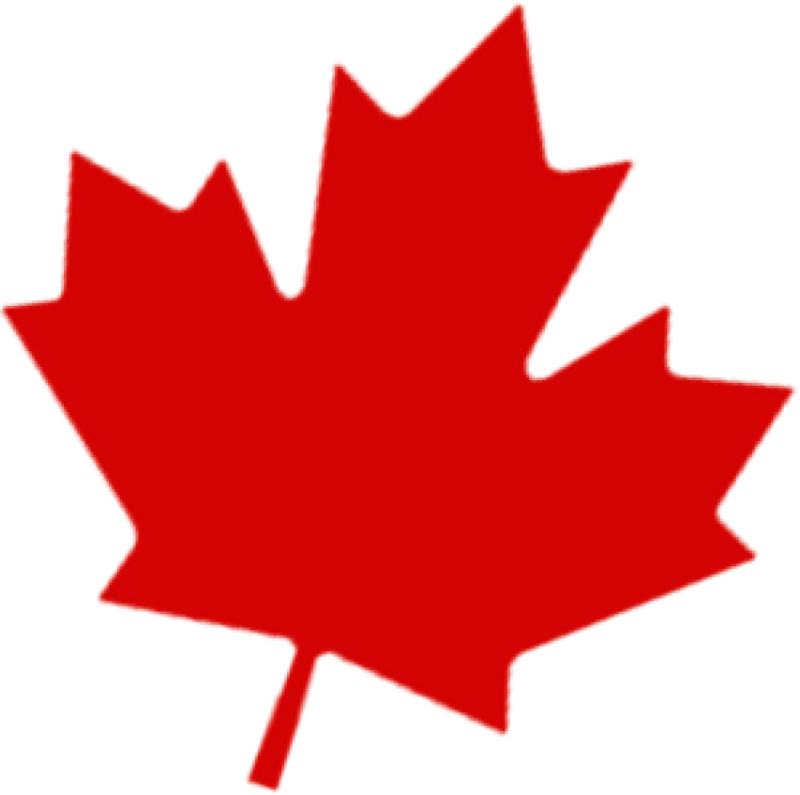 Servers in Canada - Did we mention they have servers in Canada? That's right if you are looking to take advantage of all the protections Canadians have become accustom to then your in the right place. Customer support is excellent - The tech support agents go above and beyond to ensure everything is running smoothly and they are available 24/7/365 by phone, chat, & email. Technology stack is cutting edge - With PowerCacher and FREE CDN just the tip of the iceberg your website performance is a non-issue. Can't beat the pricing - Starting at $2.95/mo GreenGeeks has all inclusive pricing for those on a budget or just getting started. 30 day full money back guarantee - If you are not completely satisfied with their service not worries grab your money and move on. The company also offers dedicated servers, which may be more appropriate for larger enterprises. Sliding fee scales make it easier for people to get started with something affordable and upgrade as needed. GreenGeeks web hosting doesn't skimp on features. This is pretty refreshing in an age where many web hosts nickel-and-dime people for every little perk. Entry-level plans include unlimited data transfers, infinite SSD web space, and an unlimited number of domains and MySQL databases. These basic packages also include access to free site builders, SSL security certifications and nightly backups starting at approximately $3 per month. More expensive shared plans offer better performance and higher hourly email limits. PCI compliance comes standard, although the lowest tiers will require users to install add-ons. For about the same price as the entry-level shared hosting plans, users can set up a WordPress host. Although the majority of the features here are the same, the company seems to have streamlined these servers by preloading them with a specific set of dev tools and software made for publishing workflows. In other words, these packages are geared towards people who like automatic updates, daily backups and software stacks that they don't have to fiddle with. GreenGeeks also provides wholesale hosting plans. These are for businesses that resell web hosting as a service, and they're equipped with all of the perks that the standard shared plans offer. 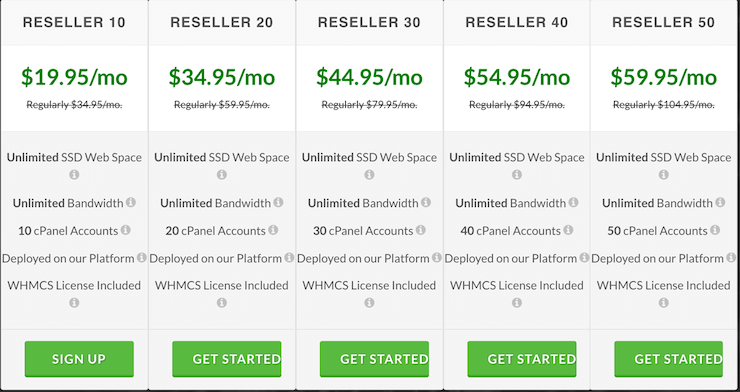 Starting at around $20 per month, you can get ten cPanel accounts, and things scale up from there. Reseller plans also include licenses for the WHMCS billing system and customized white label nameserver branding, so invoicing your customers should be relatively straightforward. It's important to remember, however, that you'll have to provide customer support. These plans start at about $40 per month for 1 GB of RAM and 25 GB of SSD RAID-10 storage. Each server comes with full root access and a range of customer-management tools that go beyond what the reseller options feature. GreenGeeks also handles migrations for free. Want to set up a business backend or SaaS infrastructure? Dedicated hosting is probably the best option. With Intel Atom 330 Dual Core systems with 2 GB of RAM and 500 GB SATA drives, these are GreenGeeks' prosumer plans, and their starting costs are accordingly higher at $169 per month. It's also worth noting that this company doesn't lock people into a limited range of plans. Consumers can upgrade their servers' RAM or storage memory on-demand. Such flexibility could prove crucial for many small businesses and e-commerce companies. GreenGeeks appears to have built its own custom hosting platform, which speaks well of the firm's technical competency. Your site data will reside on SSD media configured as RAID-10 arrays. This provides easy loss recovery while still maintaining the throughput, or message delivery rate, needed for tasks like responding to web requests. On the network side, GreenGeeks uses a combination of Juniper edge routers along with switches from Juniper and Cisco. The firm also maintains fully redundant network architectures and says that it has access to the world's leading providers of bandwidth. GreenGeeks provides Linux and Unix web hosting only, so Windows fanatics are out of luck. While this may seem restrictive, it's not exactly unusual as industry standards go, and in the long run, it may make your life easier. For instance, hosting plans incorporate cPanel administration, which makes it easy to migrate sites from other places and administer account settings. Other cPanel advantages that might particularly appeal to e-commerce companies include being able to create SSL secure servers, work with shopping carts like OS Commerce, CubeCart, ZenCart, Magento and PrestaShop, and quickly install add-ons. In addition to its cPanel hosting options, GreenGeeks caters to those who prefer to work with specific content management systems. It offers servers with software stacks optimized for Joomla, Drupal and WordPress, so users can dive in at whatever depth they feel comfortable with. Being a Linux host means that GreenGeeks can provide pretty comprehensive technical support. For instance, the firm's website is home to a reasonably exhaustive knowledge base of articles that cover everyday administrative tasks. As you might expect, however, the tech support gets sparser for those who choose self-managed hosts instead of the more common managed alternatives. Should you go with the full range of control offered by self-managed hosting? Most people without IT experience will probably be better off choosing a managed system. The fact that the managed versions include Softaculous scripts for installing add-ons in a single click further underscores how dedicated GreenGeeks is to turnkey hosting. What if you just can't get over your love of the command line? You can set up your preferred credentials and SSH yourself into nirvana with any GreenGeeks web hosting product. You will, however, have to request that the feature be enabled first. Content delivery networks, or CDNs, let you serve websites faster by offloading some of the heavy lifting to other servers. For instance, companies like Facebook serve a lot of their images, ads and rich media from geographically distributed CDNs so that users can access information quickly from anywhere in the world. GreenGeeks includes one-click CDN integration, so you don't have to worry too much about configuring this vital feature. The firm also uses something called PowerCacher, which appears to be proprietary software, to manage load times and improve site speed. All of GreenGeeks managed products include zero-day vulnerability fixes. Custom security rules and consistent oversight mean that keeping your users safe is probably going to be a bit easier than usual. As with any web host, however, it's best not to take security for granted. For instance, if you misconfigure your web store software, then you might expose yourself to breach risks. Fortunately, the company's 24/7/365 support makes it easy to reach out for assistance before doing something catastrophic. GreenGeeks headquarters are in Los Angeles, and it has data centers in Montreal, Chicago, Phoenix, Toronto and Amsterdam. GreenGeeks has data centers all over the world! The firm provides audit reports to anyone who requests them, and they are SAS 70 Type 1 certified. Other perks of GreenGeeks data centers include the fact that each location maintains physical access controls. For instance, those who want to get in and mess with the servers have to present valid credentials and pass through airlocks first. The individual server racks also include locking hardware. Each data center is staffed around the clock and monitored remotely, which increases the efficacy of the on-site temperature and humidity sensor networks. Businesses are sure to appreciate the fact that if something goes wrong with the hardware, they won't have to initiate support tickets to get repairs started. One nice thing about GreenGeeks is that it's data centers include multiple layers of redundancies. Since you're paying for hosting, you should be able to count on it being available when you need it, right? he companies data centers have battery backup power and automatic transfer switching features, but each also connects to its local city grid in two places for redundancy and includes a dedicated diesel generator. No GreenGeeks review would be complete without addressing the company's claims of providing eco-conscious hosting. The hosting company states that it's the "world's most environmentally responsible" web hosting service. While that's a difficult assertion to verify, there are a few key indicators that might shed light on its accuracy. Unlike 'days of old' most people today care about the environmental impacts of hosting and the environment in general and if you fall into that category GreenGeeks stands out among other Canadian web hosting sites and hosting sites in general with their dedication to the environment and quality of service. For one thing, the company makes no bones about the fact that being green and spreading environmentally friendly data philosophies are significant aspects of its mission. For instance, users can download website tags that let visitors know they run eco-friendly websites. The GreenGeeks affiliate referral program also heavily promotes its goal of making the internet a greener place. Unlike some companies, GreenGeeks is pretty clear about how it maintains its ecologically friendly profile. This host goes beyond energy-neutrality by offsetting every amp of current it draws from the local grid with three times as many renewable energy credits purchased through the nonprofit Bonneville Environmental Foundation. In other words, the net effect of using the platform is that your business or personal site will theoretically become carbon-reducing. The firm also seems to have taken its mission into its own hands by carefully designing hardware and datacenter control systems to minimize waste. Thanks to these and other efforts, it's part of the EPA Green Power Partnership. GreenGeeks' service level agreement, or SLA, includes a provision stating that in the event of any confirmed or unscheduled downtime, the firm will compensate its customers at three times the hosting rate. You won't receive more than a few cents for events that get fixed in under an hour, but it's nice to see a host that holds itself accountable. GreenGeeks also offers a 30-day money back guarantee with no questions asked. This policy doesn't include setup fees, domain registration expenses or the costs of transferring an existing site to the platform, but it's still a good deal. 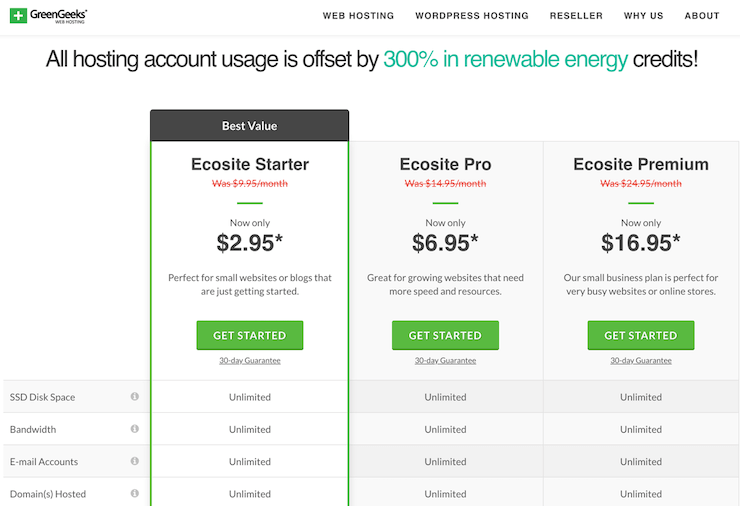 Is GreenGeeks Web Hosting Right for You? With broad product options, reasonable entry-level pricing and almost a decade in the web hosting business, GreenGeeks appeals to many different kinds of people who want to build digital presences. Being able to completely offset your energy consumption without getting too involved behind the scenes is a major plus if you care about saving the environment and time. Did our GreenGeeks review push you off the fence? If your target audience is located in the US and Canada you can't go wrong.